If you’re joining us for our Spring Challenge, we have a nifty worksheet to track your progress. You can download it here, or stop by the studio for a copy. 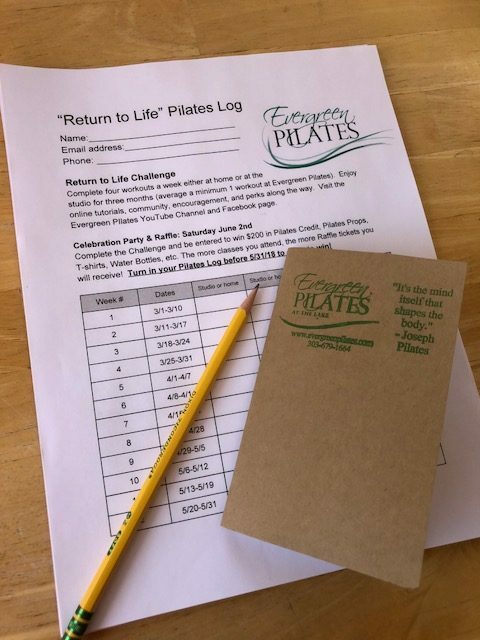 While you’re at the studio, pick up an “Evergreen Pilates Pocket Journal”. Enjoy it however you wish! Journaling your goals, plans and insights can be a powerful tool for making your “Return to Life” a reality. See you soon!